Yet another time of reflection and amazement for the miracle they brought into this world, a baby’s first anniversary is such a wonderful and emotional time for the young parents. 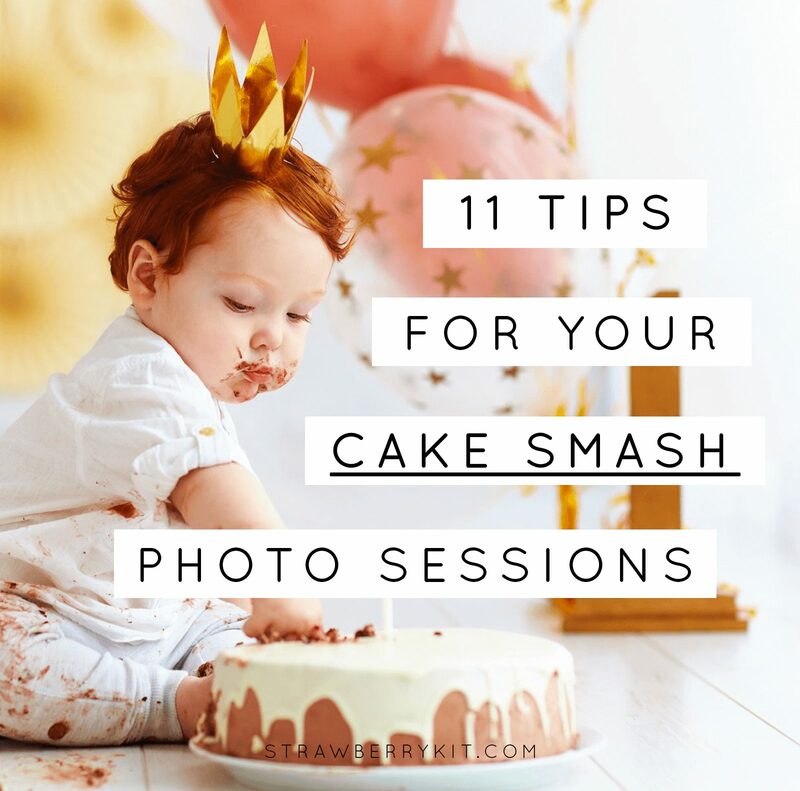 Can you think of a better way to seize the moment other than a cake smash photography session? Raving fans of such services, parents are also very demanding – it’s their precious baby you’re photographing and there should be no room for mistakes. Parents could ask you to photograph the baby right at the anniversary, something you should always avoid! On the one hand, you could end up having an agitated or tired baby, stressed out by all the persons roaming around. On the other hand, the more persons are at the filming scene, the higher the chances that something will go wrong. Decide together whether you should do it at their place, at your studio, outdoor or somewhere else. Analyze the shooting conditions of the chosen location and anticipate any potential problems. Tip: In this What to Wear Guide you can find some interesting aspects to share with the parents about the baby’s wardrobe, depending on where they’re choosing to do the session. Wherever you decide to shoot, there should be plenty of natural light. Do not hesitate to discuss this aspect with the parents, in the event that the initial location isn’t very generous on this chapter. You will want to benefit from a soft light that is easy to work with; this kind of light shouldn’t require using a flash and shouldn’t leave room for unaesthetic shadows. If it’s indoor, large windows are perfect, as long as they’re not oriented towards south or north; the light coming from there is usually harsher. The baby with the cake is the main focus, yet colors are very important. Establishing with the parents, in advance, what the baby will wear at the photo session will help you identify the main item and the color you need to coordinate in the session. Whether it’s an orange tutu dress or a blue cheeky headband, it should set the tone. Also important, ask the parents what color the cake frosting will have! This should help you both coordinate and complement the session, to avoid any potential overexposure of your photographs. Whether you have your own studio or travel to the baby’s home, a few simple props will prove handy anytime. 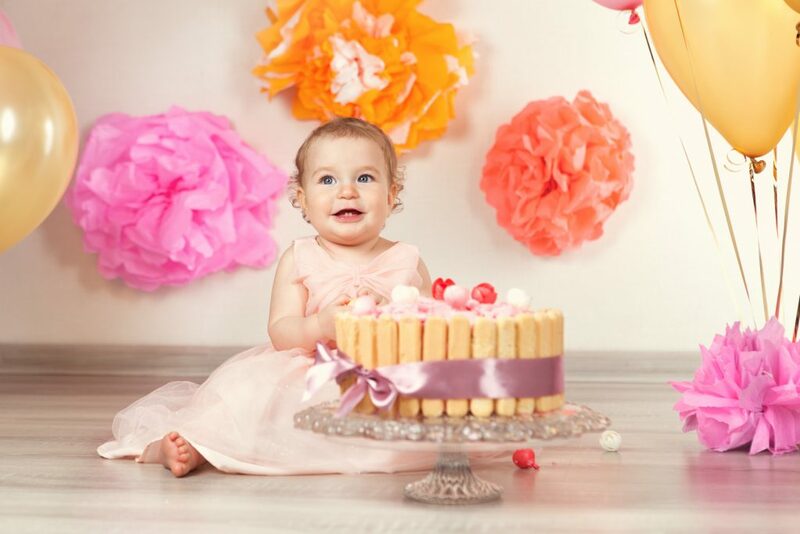 From a cheerful wall paneling and some colorful balloons to a simple cake holder, you’ve got everything you need to set up a shooting context, no matter where you are. You want to focus on the baby and the cake, so pretty much anything else from the landscape will be unnecessary, potentially drawing attention from the subject. The high chair must disappear, without exception. Its purpose is to keep the toddler in one place, making sure he doesn’t have the chance to do any kind of mess. It’s actually the mess you’re trying to capture, so can you see my point?. The best approach is to put the baby on a flat surface and make room for cake smashing fun! Third, with the baby tearing the cake apart. Prepare to get some mess-free images, to alternate the frames when putting all the photographs together. Move fast and have enough room around you to avoid any unnecessary… complications. Up and down, left to right, close-ups – they all should come naturally. From those big brown eyes reflecting a huge cake to those little chubby fingers covered in icing, there’s so much you need to capture and so little time. Babies are delicate and moody. Their parents’ hearts cripple when they burst into tears. And getting the best shoots of their toothless, heart-melting smiles isn’t always easy. So any kind of help is more than welcomed. Whether it’s mom or dad, a grandpa or a grandma, whoever can do silly things in the background to steal a smile from the grumpy toddler is more than welcomed! Dimpled smiles deserve all the efforts and parents are going to love your work. As strange as it might seem, not all babies jump over a cake the moment they see it. Some of them don’t even know that the big, colorful thing that just entered the room is edible. If they don’t “bite” within the first minutes, try tempting them with some frosting on your finger. Or let one parent do the trick and you look for any cute faces that you might get out of this silent dialogue. Now that the most important part was consumed and the baby is out of sight, you could take some final snapshots of what’s left… This is, again, for the diversity of your final work – since you’ve captured the scene before and during the cake smash session, the “after” part can make for fresh new angles. A baby getting messy is one of the most natural images on earth. That’s a reason powerful enough to prevent you from over-editing your photographs. RAW shooting accompanied by some minor contrast and brightness edits is generally everything it takes to put these irresistible photographs together. As adorable as babies can be, working with them requires lots of patience and finesse. That’s why some photographers simply prefer to avoid cake smash photo sessions altogether. But if you decide to take this delicate path and your photos are heart melting, the word of mouth should serve you well. Is there any parent out there not to love a professional photographer who is kind, patient and does a great job with kids? The 11 tips from above should do just that, help you create an amazing final product. Kindness and patience are all within your power!